Chris Unthank: For those who aren’t familiar with your history in Gospel music, share how you got your start and where your career has taken you? Paul Lancaster: I grew up in a little Baptist church in Gadsden, Alabama where my mom was the church pianist. It is also the place where I sang my first song, “The King Is Coming”, at the age of 5. From that point, I was hooked and I took every opportunity that was offered to go and sing. I sang at many other local churches in our region, nursing homes and even civic events. This continued until I was given the opportunity to audition and join a regional gospel group called The Chancellors at the age of 15 and remained with them until the age of 17. From there I sang with a couple of different groups in the area until I finished school at the age of 18. Immediately after high school, I was offered my first full-time job with a group known as The Rock City Boys from Chattanooga, Tennessee. At the age of 19, I was offered the chance to sing with traveling evangelistic family known as The Mullins. I remained with them for 12 years until I joined Nelons in June of 1999. 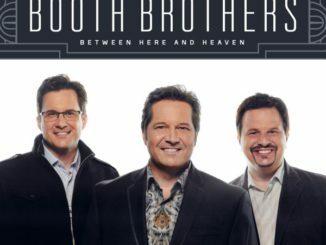 In 2001, I worked a real job at Sam’s Club while singing on the weekend with my long time friends, Jim and Melissa Brady until Jim received the call to join The Booth Brothers in May of 2002. After that, I was given the opportunity to fill in for many different groups including The Martins, Karen Peck and New River, Three Bridges, The Blackwood Quartet and even The Booth Brothers. From 2008 through 2012, I sang with The Greenes and The Palmetto State Quartet while occasionally doing some solo dates. And finally in December of 2014, I was given the opportunity of a lifetime to sing with The Booth Brothers. CU: You’ve been with the Booth Brothers for almost four years now. What’s it been like traveling with such a fun group? PL: It has been a dream come true. Really! It is a privilege to stand onstage and sing beside Ronnie and Michael Booth. They are not only true professionals in every way, but they also care very deeply about the people we stand in front of every night. They take very seriously the platform The Lord has given us and understand that every moment on that stage, every song that is sung and every word that is said matters. 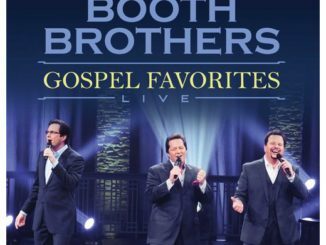 It’s been almost four years now since I’ve joined The Booth Brothers and I can honestly say they are men of integrity who love God and the people He’s given us the privilege to sing to and I feel truly blessed to be here. CU: What have been some highlights of your career thus far? PL: I am so grateful to be able to look back at all the great opportunities that I’ve been given and all the wonderful places that I have been over the last 30 years. However, I can honestly say that the highlight of every night I sing is hearing someone tell me how one of our songs gave them the hope and strength to get through some of the toughest times of their lives. I will never cease to be amazed at the power of a simple song. CU: What are those key songs in your career that you’ve enjoyed singing the most? PL: There have been many through the years but if I had to narrow it down, I would have to say “Moment Of Grace” and “Jesus Saves”. CU: Tell us about your family. PL: I have been married to my wonderful wife, Michelle, for 26 years now. She is not only beautiful but she is also the toughest, most dependable person in my life. I couldn’t do what I do without her. Also, We have three boys: Alex (22 yrs. old), Ethan (16 years old) and Jackson ( 12 years old). We are very thankful for each one of them and very proud of the men they are growing up to be. CU: What’s next for the Booth Brothers? New recording? 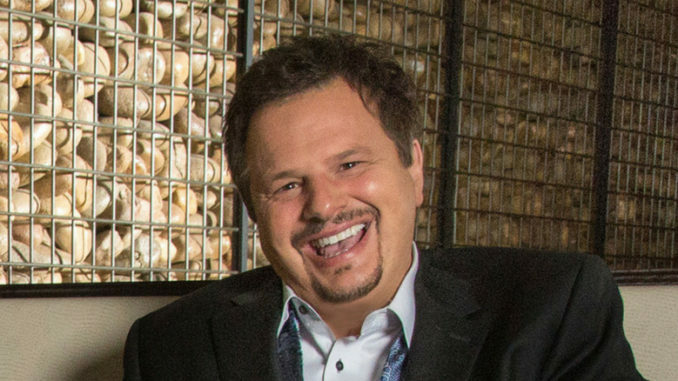 PL: We are very excited about a brand new video we have recorded at Gaither Studios in Alexandria, Indiana. The theme of the video is God, Family and Country. We, along Bill Gaither (who sang bass on a couple of songs), Kevin Williams (who produced all of the music) and a band full of some of Nashville’s most talented musicians spent a highly energetic and fun-filled day recording some of our favorite country songs from the 70s & 80s. These songs are some of best songs of an era of simpler times that reflect old-fashioned family values and promote love for God and country. It is slated to be released in early 2019. CU: What advice do you have for those wanting to enter the field? PL: Take every opportunity big or small and know that there are no wasted moments because it’s all part of the journey that God takes us on to prepare us for the blessings and opportunities that He has waiting ahead. Bloom where you are planted, take joy in the present and let God take care of the future.